JING Institute of Chinese Martial Arts & Culture - JING Kids After-School Program and more Kids Kung Fu! JING Kids Facebook and YouTube channel. Why Do Kung Fu / Wushu? JING shares the wonderful world of Chinese Kung Fu / Wushu with (you and) your children! We run a full-time school with a curriculum that is both rich and deep, and we understand that if children enjoy the learning process, they will learn more. Please read more about why children should learn Wushu / Kung Fu here! Children's Martial Arts classes are available Monday-Friday at 4pm and 5pm, and Saturdays at 10am (full schedule is online). Please call us at 858.578.8267 or email info@JINGinstitute.com to schedule your child's first class. *Do you kids need an After School Program? *Do you want your children safe, happy, and learning competitive skills, like Chinese, while you work? *Would you like us to pick them up from school? * and develop their Physical Skills with Wushu / Kung Fu, because healthy bodies are important for healthy minds! Our goal for your children is to give them an edge in today's world! Our curriculum was carefully created by our Director, Laura Stegner. Laura holds a Bilingual, Cross Cultural Language and Academic Development (BCLAD) teaching credential from the state of California. Registration is accepted throughout the school year. Classes are held Monday through Friday, from end-of-school until 6pm, and include daily Mandarin Chinese lessons, Chinese Cultural exploration, Kung Fu / Wushu classes, quiet time to do independent reading or complete homework assignments, and playtime for your children. As electives, we also offer JING Bits (computer programming), Bots (engineering), and Mathwerks; and provide a rotating curriculum of Chess, Mad Science, and other fun classes. Please call 858-578-8267 or email Laura@JINGinstitute.com to find out more and enroll your child in the JING Kids After School Program! After-School Pickup is available for most schools in the Scripps Ranch area. Please call 858-578-8267 or email Laura@JINGinstitute.com to see if JING can provide transportation from your child's school! This program follows the Scripps Ranch school holidays schedule; any day that there is no school, there is no After-School Pick-Up or After-School Mandarin Chinese class. 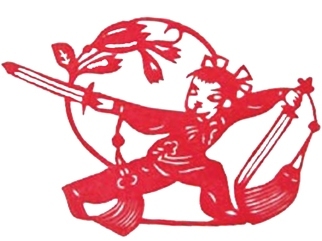 There is, however, JING Kids Wushu/Kung Fu class on all days except JING Holidays, so please feel free to bring your child to Kung Fu / Wushu class! are listed online at the JING Kids website! Mandarin Chinese is the fastest-growing language in the world. Even now, over 1/5 of the world's population speaks Chinese, and both the number and the impact of Chinese Language is increasing as China itself grows and rises in the world economy. According to an article in the National Geographic News, "In the next decade, the new must-learn language is likely to be Mandarin." (1) Besides being one of the most practical languages that a person can learn in today's interconnected world, Chinese is also a great mental training tool, as its structure, sounds, and writing system are so different from English as to engender a whole new way of thinking. And don't you agree: it is much easier more effective to learn languages on a daily basis as a young child than to wait until college or adulthood to learn! You can take advantage of our JING Kids After School Program and its daily Mandarin Chinese language training for your school-age children! Please call 858-578-8267 or email info@JINGinstitute.com to find out more and enroll your child in the JING Kids After School Program! 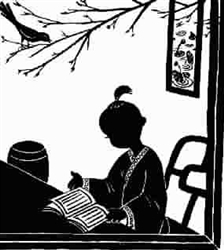 You are also welcome to peruse our JING Kids Chinese After-School Program site for more information about our Chinese Language program and Additional After-School Enrichment programs. (1) Lovgren, Stefan. [http://news.nationalgeographic.com/news/2004/02/0226_040226_language_2.html "English in Decline as a First Language, Study Says"], ''National Geographic News'', February 26, 2004, accessed August 20, 2011. Why Should Kids do Kungfu/Wushu? Practice in Wushu / Kung Fu has long been known as a way to improve spirit and health for children in China. Among children who are already healthy, Wushu is used to help keep children active and energetic, and to let them work through their prodigious energy in a productive manner. Children improve flexibility, strength, speed, agility, and coordination with Wushu, as well as learn a complex, circular, fully integrated style of movement that is not only a beautiful cultural art in itself (Wushu is one of China's "Cultural Treasures" ), but will also serve them well as they practice other sports and movement arts. Just imagine an entire soccer team composed of kids who can move like Jet Li! Chinese Martial Arts can help improve the development of your child mentally, emotionally, and physically. The JING Children’s Program is specifically designed to cultivate emerging skills in children ages 7-12. Consistent training commonly leads to better critical thinking; increased confidence, courage, respect, and discipline; and increased energy, coordination, strength, and flexibility. With our training, your child’s commitment, and your ongoing support, your child will forge the future with confidence and joy. Children's Martial Arts classes are available Monday-Saturday. Please call us at 858.578.8267 or email info@JINGinstitute.com to schedule your child's first class. (2) An, Tianrong and Aiping Cheng. [http://www.kungfumagazine.com/ezine/article.php?article=585 "Traditional Wushu and Competition Wushu"], ''Kungfu Magazine.com'', accessed August 20, 2011. (3) Ching, Gene. [http://www.kungfumagazine.com/magazine/article.php?article=939 "The Wushu Champion from Shaolin"], ''Kung Fu Tai Chi Magazine'', January/February 2011, accessed August 20, 2011. There are a many of martial arts schools around San Diego, but very few can match the experience that the JING Institute of Chinese Martial Arts & Culture provides. We’re the only Kung Fu, Tai Chi, Wing Chun, Bagua, and SanShou Center in San Diego based in lovely Scripps Ranch. Our San Diego school is equipped with everything you need to become a competent martial artist in no time. Our San Diego Scripps Ranch location offers Children's classes in Kung Fu / Wushu / Chinese Martial Arts / Shaolin Kung Fu in Scripps Ranch in San Diego. If you want to give your children an advantage in school and life, then enroll them in the JING Chinese After-School Program for kids in San Diego! JING Kids After-School is the very best Chinese After-School Program in Scripps Ranch, and we welcome you!